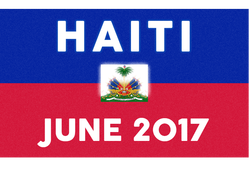 On June 10-18, a group of teens and adults from St. Augustine will be flying to Haiti to visit the school our parish helped to found with the American Haitian Foundation in Petite Riviere de Nippes. They will be teaming up with a group from St. Mary's in Johnson City, and the week will be spent getting to know the community, assisting with projects at the school, and visiting homes with a group from Life Teen. Throughout the year, we will be working to raise money to afford the trip and bring medical supplies to the community. Please join us in our efforts by supporting our fundraisers and praying for the safety and success of our trip. Thank you!